​A section of Atletico Madrid fans pelted Thibaut Courtois with toy rats as the Real Madrid goalkeeper made his first return to face Atletico during Saturday's Madrid derby. After joining Chelsea in 2011, Courtois spent three years on loan with Atletico before returning to Stamford Bridge. However, he joined arch rivals Real last summer and kissed the badge of his new side as he was presented to fans at the Bernabeu, leaving many Atletico fans furious at the Belgian's actions. News of the ​Atletico fans' actions comes from ​Marca, who reported that a section of supporters threw toy rats in ​Courtois' direction as he began his preparations for the match, which ended in a 3-1 victory to the visitors. 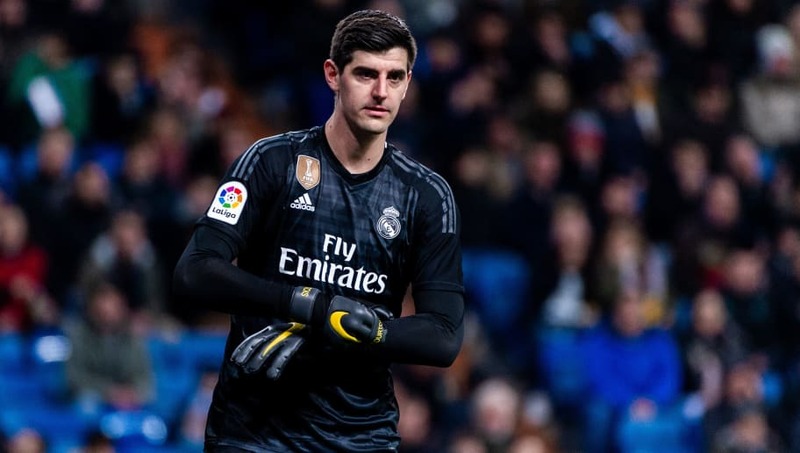 Immediately after Courtois joined ​Real, a group of fans took to Twitter to suggest that these rats should be launched at the Belgian shot-stopper upon his return to the club, and it appears these supporters have now got their wish. During his three years with Atletico, Courtois established himself as one of Europe's finest goal keepers. He made 154 appearances for Diego Simeone's side across a hugely successful period which saw him achieve ​La Liga and Europa League glory. His form was so impressive that ​Chelsea opted to part ways with legendary goalkeeper ​Petr Cech to facilitate Courtois' inclusion in the starting lineup. However, the 26-year-old's children remained in Spain, and Courtois requested a move back to Spain in order to spend more time with his family. However, many Atletico fans were devastated to see such an important player join city rivals Real, and his decision to kiss the Real badge only aggravated the issue. During the game, fans could be seen holding up several banners which showcased their frustration towards Courtois, with one large banner behind the goal simply referring to the Belgian as a rat. Real took the lead through an acrobatic effort from ​Casemiro, only for Antoine Griezmann to slot the ball through Courtois' legs and equalise minutes later. However, goals from ​Sergio Ramos and ​Gareth Bale ensured Courtois and Real had the last laugh, and the victory saw Real move ahead of their rivals into second in the league.